Information about marijuana abuse and the harmful effects it can cause, signs and symptoms and how you can get help at Narconon Fresh Start for someone who is addicted to marijuana. Dabbing has been around since 1970, but only few knew about it or how to do it. It has became popular in the last several years and now it’s being done in schools and classrooms, out in the public and in many homes across America. And even if someone was dabbing right in front of you, you wouldn’t even know it because it doesn’t put off an odor. A dab is a concentrated dose of “butane hash oil” (BHO), extracted THC. It’s a sticky, yellow oil substance that is better known by kids as “wax.” It’s also known as “budder,” or “honey oil.” Dabs are mostly stored in a non-stick wax or silicone container. Kids often hide their dabs in a Carmex lip balm container. An ounce of dab can be sold for about $600. A dab of BHO is smoked/vaped through a vaporizer or an e-cigarette and delivers a direct hit of about 80 percent THC giving the user an instant high. There are reports of dabbers hallucinating or blacking out and falling over after inhaling a hit of dab and busting out their teeth or gashing their head wide open. BHO can also be rubbed onto a joint or cigarette and then smoked or ingested with food. Extracting the THC can be an extremely dangerous process. Many people have been injured and hospitalized from home explosions and body burns. Homes and buildings have been burned to the ground, neighbor’s lives and properties have been put at risk and innocent people have even died from a direct result of others dabbing. The dabbing process is dangerous because it uses highly flammable butane to extract THC from the cannabis plant. Shredded or ground up marijuana is stuffed into a pipe where butane is then forced through the marijuana to pull out the THC, which then goes into a receptacle filter. A blow torch is then used to burn off the remaining butane which creates a butane gas. Creating this butane gas is what has resulted in violent and even deadly explosions. Marijuana is addictive and can cause psychological effects in the brain. The THC in marijuana is what is responsible for causing the psychological effects that people have so consuming higher levels of THC can cause more damage to the brain and create more severe withdrawal and addiction problems. Marijuana extract (hash oil) can intensify the effects that the marijuana plant form creates psychologically and physically. Dabbers may also experience blackouts, hallucinations, delusions, squeezing of chest and develop schizophrenic symptoms or have psychotic breaks. There can also be a cognitive decline and a drop in IQ and memory. Some users have reported feeling like something is crawling under their skin and have even reported hearing things that are not there. The DEA has proposed to create a new code number for “marijuana extract” to separate it from the “marijuana plant” in order to keep track of it, but it will still be treated as a schedule 1 controlled substance. Some other drugs that are schedule 1 controlled substances are heroin, lysergic acid diethylamide (LSD), 3,4-methylenedioxymethamphetamine (ecstasy), methaqualone, and peyote. The fact that marijuana is a schedule 1 controlled substance (the most dangerous drugs of all) helps to put the harmful effects of this drug into perspective. How do I know if My Kid is Dabbing? Although vaping hash oil is odorless and can go unnoticed as it is smoked right in front of you, there are still the physical signs and symptoms and behavior patterns that can help you to spot marijuana/hash oil abuse. And because hash oil is more potent and delivers such an extreme high, the signs and symptoms can be more extreme. It also means that people can become more addicted and dependent. See more about marijuana abuse. Drug abuse more than often leads to addiction which usually then leads to ruined lives, jail or death. Ask anyone who has been in the grip of addiction and they’ll tell you. The solution is to get help right away before it progresses into a more severe addiction. If your loved one is abusing hash oil or any other type of drug, call a Narconon Fresh Start drug rehab specialist today to go over your treatment options at 1-855-734-2223. Find out more about the Narconon Fresh Start drug rehab program to see how it can save you or your loved one’s life from addiction. In a recent report, it is estimated that 18 new states may choose to legalize the recreational use of marijuana in the next 5 years. A recent report from a national market research firm predicts that as many as 18 additional states may legalize recreational marijuana markets within the next five years. If this prediction is right, that would potentially make recreational marijuana legal in thirty-six percent of the United States. The legal recreational cannabis industry is just getting off the ground in many states where marijuana has been legalized. While this is only a prediction, the idea of legal recreational use of marijuana has many worried. 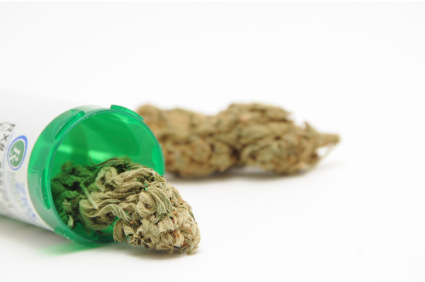 Currently a schedule I drug, marijuana is known to have the potential for abuse and addiction problems. In past years, many states have chosen to legalize the medicinal use of THC and synthetic cannabinoids. These changes in medicinal marijuana reform laws are intended to treat patients going though chemotherapy, struggling with HIV, Multiple Sclerosis, cancer pain, and glaucoma. As of January 2014, marijuana is the most widely abused illicit substance in the United States. Marijuana abuse and addiction statistics continue to clime. Forty-seven percent of Americans say that they have tried marijuana at some point in their lifetime, and eleven percent in the past year (2012). As American’s attitudes and perception about legalizing marijuana continue to shift there is a strong belief that in the long run this substance will legalized. While today there is only a slim majority, fifty-two percent of Americans agreeing that the drug should be made legal, this percentage is predicted to increase as more states choose to reform their laws on marijuana. The debate continues, but the facts on this drug have not changed. Marijuana is known to have a potential for abuse and addiction. Many individuals in drug rehab programs across the country site marijuana as their primary reason for enrolling in treatment. Those who enroll due to other substance addictions note that they have either used marijuana in the past or were concurrently using marijuana with other drugs. Daily marijuana users develop the same respiratory problems as cigarette smokers including daily cough and phlegm, symptoms of chronic bronchitis and frequent chest colds. They are also more likely to develop lung injections such as pneumonia. Additionally, daily marijuana smokers are exposing themselves to cancer-causing chemicals – the very same that are found in cigarette smoke. The side effects of habitual marijuana use can affect the user’s brain function. Their ability to complete complex tasks becomes compromised as well as diminishing their determination to pursue academics, careers and other life goals. Studies have shown that long-term use of marijuana can affect the user’s mental health. Habitual users are at an increased risk of developing psychosis and delusions. The odds of suffering from mental health issues brought on by regular marijuana use increases exponentially if the individual carries a genetic vulnerability to such mental health issues. At Narconon Fresh Start it is our hope that the nation takes an in-depth look at the many consequences of marijuana use and the potential problems that will be generated by legalizing the recreational use of this drug. Known as a gateway to harder drugs, marijuana is not a benign substance. After helping thousands of individuals end their marijuana addiction problems we understand the devastation this Schedule I drug can have on the addicted individual and those who love and care about them. As a parent, it is important that you educate your teen about marijuana so that they know all the facts before they are put in a situation where they have to choose to use or not. Teaching your teen about marijuana is an effective way of preventing the use of this substance. While states across the country are legalizing the recreational use of this substance, it is still considered a drug that alters the user’s perception and has the potential for abuse and addiction problems. Educating your teen or young adult about marijuana empowers them to make the right choice if/when they find themselves in a situation where marijuana is being used. Marijuana is a mixture of dried, shredded leaves, stems, seeds and flowers from the help plant. It comes in a variety of colors ranging from green, reddish green, brown, to nearly gray. This drug goes by many slang names including pot, herb, weed, grass, mary jane and chronic. Every form of marijuana is mind-altering and changes how the user’s brain works when it is used. The THC (delta-9-tetrahydrocannabinol), in marijuana is the main active chemical that creates the “high” users experience when on this drug. There are numerous strains of marijuana that range in THC strength and potency. Users will take marijuana in a variety of ways. One of the most well known is smoking marijuana in a cigarette, known as a joint or nail. Other users smoke marijuana in a pipe or bong; while there are some who put marijuana into cigars called blunts. With medicinal marijuana becoming legalized as well as some states legalizing recreational marijuana there are now even more methods to consume this drug. Shops that sell medicinal marijuana or recreational marijuana sell everything from edibles (chocolates, cookies, brownies and other candies), tea, fruit punch drinks, tinctures, topical gels, transdermal patches, creams and THC liquid to use in electronic cigarettes. The effects of marijuana depend on a variety of factors including: how much THC is in the marijuana, what the user expects to happen, the location where the drug is used, how the drug is taken, if the user has taken other substances (alcohol, prescription drugs, and illicit drugs). While most marijuana users feel relaxed and “high” when using marijuana, some do not experience any effects what so ever. A common experience among all marijuana users is feeling thirsty and hungry, often referred to as the “munchies”. It is not too uncommon to hear of users having a “bad reaction” to the marijuana they have used. They may suddenly be overcome with paranoia and anxiety that does not subside until the effects of the drug wears off; this could potentially take hours. It has been said that marijuana is a gateway drug. This is because most drug abusers and addicts began their downward spiral into substance abuse and addiction through the use of marijuana. Teens and young adults who use marijuana often find themselves in undesirable situations where drug dealers are selling other substance in addition to just marijuana. This leads to increased curiosity and the potential to try harder drugs. Marijuana abuse and addiction is a very real outcome that stems from recreational use of the drug. Users begin to seek the drug compulsively and use it at every opportunity. They begin to rely on marijuana’s effect’s to help them manage their feelings and get through the day. When this happens, their ability to remain sober decreases and their emotional dependence on the drug grows. Talking to your son or daughter will establish an open line of communication so they can share with you what is going on in their life. If they know they can reach out to you for information and guidance they will have the support they need to make the right choices in their lives when it comes to using marijuana. When a person smokes marijuana, the THC in the drug is quickly passed from their lungs into their bloodstream. The bloodstream then carries the chemical to the user’s brain and other organs in their body. If the marijuana user takes the drug in their food or drink their body will ingest it more slowly than when the drug is smoked. No matter how the user ingests marijuana, the THC in the drug acts upon specific molecular targets on brain cells. These brain cells are called cannabinoid receptors. Cannabinoid receptors are ordinarily activated by chemicals similar to THC called endocannabinoids, e.g. anandamide. These chemicals are naturally occurring in the user’s body and are part of their neural communication network (the endocannabinoid system). The endocannabinoid system plays an important role in normal brain development and function. The largest number of cannabinoid receptors is located in parts of the brain that influence pleasure, memory, thinking, concentration, sensory and time perception, and coordinated movement. When the user smokes (or eats/drinks) marijuana the drug proceeds to cause their endocannabinoid system to become over active. The high the user experiences when they use marijuana is caused by their endocannabinoid system being over-activated. Common sensations brought on by using marijuana include distorted perceptions, impaired coordination, difficulty with thinking and problem solving, and disrupted learning and memory.